Welcome to your new water front peaceful home. 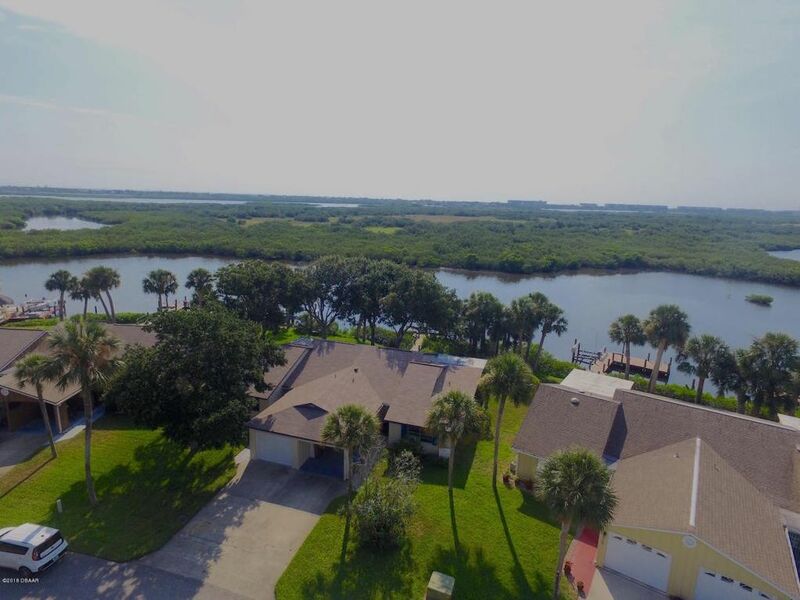 Watch amazing sunrises while you sit on your private dock with access to the inter-coastal and ocean waters. Deep water allows for the larger boats to access the waters here. This recently remodeled home offers upgraded kitchen cabinets, granite counters and newer appliances. Roof and ac are also newer. Month fee are low and cover the lawn maintenance for you. Priced to sell, you wont find a nicer home on the water in this area for this price. A 3d virtual tour is avaible upon request. All information is intended to be accurate but is not guaranteed. Directions: US 1, S of Dunlawton, left on Seminole Ave, L on Riversie Drive, R on Harbour Point.